Comparing music to sports: our hosts weigh in. Kerry Stratton’s poetic take! 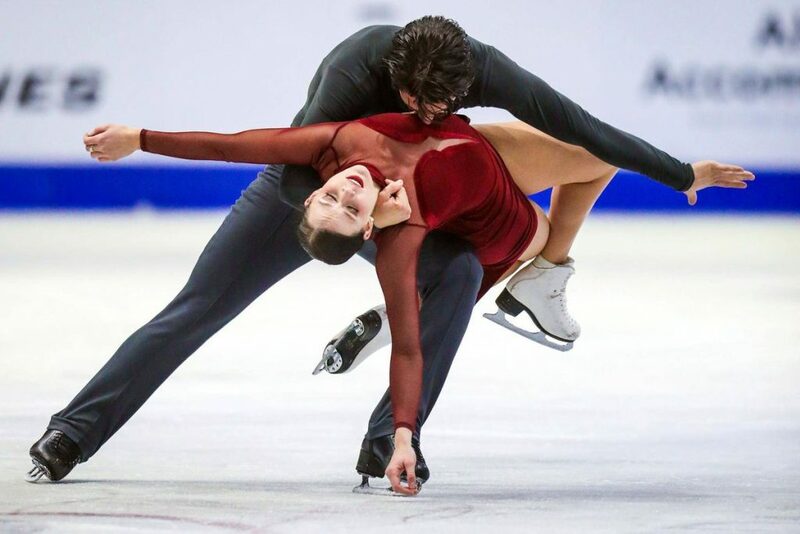 Canadian ice dancers Tessa Virtue and Scott Moir captured gold last night, and if there is a perfect blend of athleticism, artistry, and the power of music, it’s embodied by those two, a perfect ice dance pairing. On February 7, after the Super Bowl on Feb. 4, and before the Olympic Opening Ceremony in PyeungChang Feb. 9, sports were on my mind, and the similarities between athletes and musicians. They often have a disparate fan base, but it’s ironic given how similar they are in terms of training, discipline, commitment, teamwork, and dealing with success or failure. It made me wonder why sports and music enthusiasts don’t consider the commonalities instead of focus on the obvious differences, which lead to this post, “The Parallels between Sports and Music”. Once when we had gone round to see Brooks, and were sitting on the terrace overlooking his garden, somebody made a remark about an amazing jump he had witnessed; in fact, it was almost as high as the terrace. “Why, that’s nothing,” said Grainger, and, before we could say a word he had sprung up from his seat, cleared the parapet, and disappeared from sight! “Thank God there isn’t a green house down there,” said I to Brooks who was still sitting speechless in his chair. A few seconds later Grainger came running up the steps from the garden and would’ve jumped over again if we had not forcibly dissuaded him. I had noticed that if he accompanied us on our evening walks, he never left the house with us in the normal way, but always sprang into our midst from a window facing the street. Brooks now began to dare him to do this, that, and the other, but Grainger could do everything. And when they had said that there was one thing he could not do, namely, to stand on the terrace below the house and from there, throw a tennis ball over the house, then run up the dozen steps to the door, through the house, and catch it before it fell into the yard and the other side … incredible though it may seem, he had done it three times. I took his arm, led him home, lest in the end he should break his neck. More chats with our hosts in upcoming features!